Senator Jason Lewis is looking for civic-minded individuals interested in a summer internship in his State House office. State Senator Jason Lewis proudly represents the people of the Fifth Middlesex District of Massachusetts, which includes the cities and towns of Malden, Melrose, Reading, Stoneham, Wakefield, and parts of Winchester. He currently serves as the Senate Chair of the Joint Committee on Education, and he has been a leader in shaping public policy on a range of issues important to his district, region and the state, including education, healthcare, and economic opportunity for all. Interns will have the unique opportunity to experience policymaking, politics and government from the inside. Although unpaid, interns will obtain meaningful experience by witnessing and participating in the day-to-day functioning of a State Senate office. 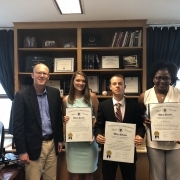 Interns will report mainly to Lizzi Tran, Constituent Affairs Director, and will be responsible for assisting with a variety of tasks, ranging from constituent correspondence to legislative research to database management to communications and social media projects. In addition, interns will have the opportunity to attend events, hearings, and meetings in the State House. 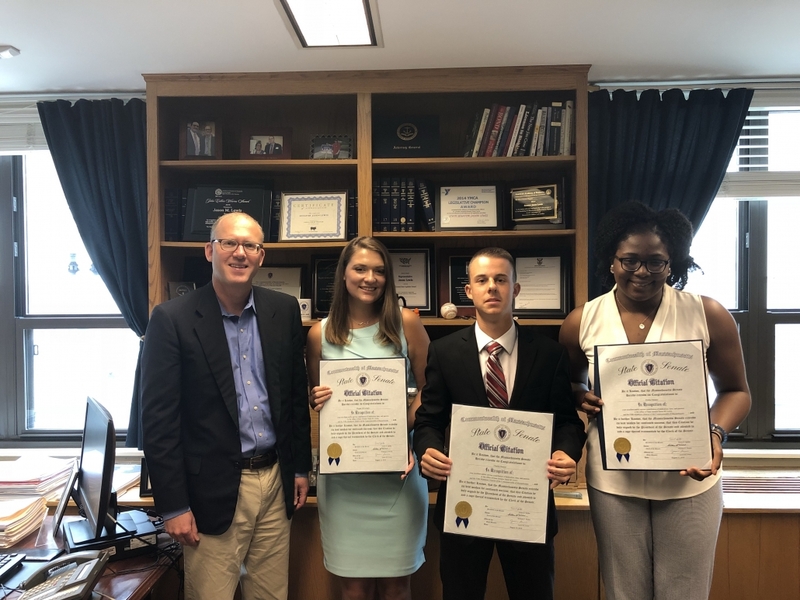 Interns in Senator Lewis’ office will gain the satisfaction of serving the Commonwealth and will be able to add valuable experience to their resume. Interns must have excellent written and verbal communication skills, a high level of attention to detail, and good overall professionalism. Candidates must also be comfortable with Microsoft Office, Google applications, and major social media platforms. Preference will be given to college students and young adults, but high school students will also be considered. Applications from the Fifth Middlesex District are strongly encouraged. Summer internships generally span from May to August. Hours are negotiable, ranging from 10-14 hours per week. Candidates with a particular interest in communications, public relations, graphic design, video production or social media should indicate so in their application. Candidates should send a resume, brief letter of interest, and writing sample to Elizabeth.Tran@masenate.gov by Monday, April 22, 2019. References should be available upon request. Applications will be reviewed on a rolling basis, so interested parties are encouraged to apply promptly. With questions, please call (617) 722-1206.